Life through my eyes… Telling my stories. Okada: Dare Devil Or Dear Angel? I wrote this for Nigeria Dialogue in March, 2012. You can see it here. So much has been said about the ‘menace’ called okada. I have heard tales about how many people have been killed because the riders do not make good use of their brains when riding. They have been called roaches, ants and all sorts of degrading names. Okadas have been blamed for many accidents – either they instigated the process (and escape thereafter) or are literally entangled in the accident. I know at least 80% of the stories; indeed I have been involved in one okadaaccident. I broke a toe, lost a few toe and finger nails and sustained bruises on my body. In spite of all this, I still diligently take bikes to and fro my destinations. My dad totally opposes it but what can he do? I feel for him. I think I am addicted. This addiction is not to the bike itself but to the idea that traffic cannot hold me down! This is very important to me especially in the legendary Lagos traffic. I cannot bear to sit in traffic even if I am not rushing to someplace. I know many a time when I have been ‘saved’ by an okada. There have been days when I’d wake up 45minutes to resumption time at work and still make it there with 5 minutes to spare. It is fascinating to know that my neighbour could be heading to Ikeja from Agege in his car and he leaves the house by 8.30am but I leave my house by 9.30am, takeokada and overtake him on Oba Akran Avenue because he’s sitting in traffic. That feeling is marvelous, I tell you! At one point in my teenage years, I actually decided that I’d have to buy a bike and make it my major mode of transportation in these parts. You know how it is when where you stand always seems like the right and the other person is standing in the wrong? That’s how it is sometimes when I’m in a car or onokada. When I’m on a bike, the car is always wrong – the car didn’t turn on the indicator before taking that turn, the car braked too hard and too sudden so the bike rammed into it from behind, the car believes it is bigger than the okada so the car has the right of way no matter what. But when I’m in a car, I see that there are some terrible okada riders out there! A trailer is turning into an intersection and an okadais coming in the opposite direction, whether na impatience abi na restlessness dey cause am, I no know but the okada feels it can pass through and so dives in. Sometimes, the rider and the passenger do not make it through but at other times, they actually do and that is amazing and fascinating to me. As much as I agree that okadas can be a terrible nuisance, I must also recognise that there’s some good to it too. I have friends who do not see this good and will agree that okadas should be banished without a thought, but hey, everything has advantages and disadvantages. So the question, my country people – what should we label the phenomenon calledOkada? daredevil or dear angel? 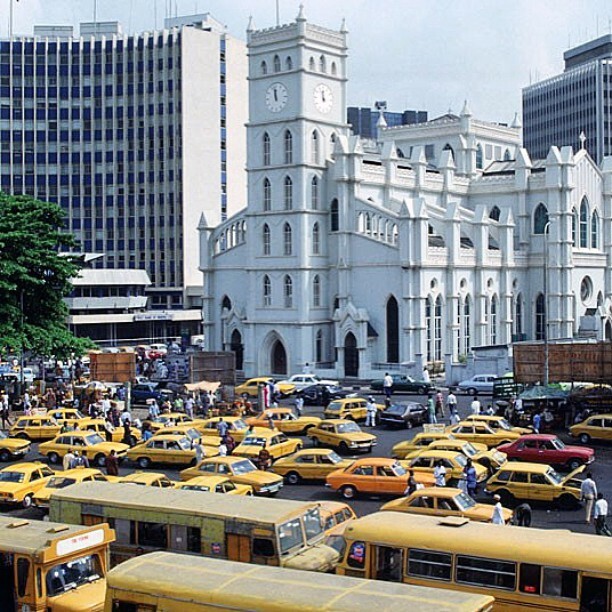 Next Post LAGOS – NO MAN’S LAND? What makes people shout when they are angry? It’s the big 30! Yaaaayyy! Why Parents Have Grey Hair! All thought of value, all things creative and anything worth sharing. Me, My Camera, and Life. Living Resplendently in God's Reality...painting pictures. A Pen and A Paper.